A crisis may occur in the business due to a lot of reasons. A major one can arise from the lack of communication, both internal and external. If the problem is not handled correctly at the right time, it may disintegrate in chaos. There are many ways in which individual crises can be managed. 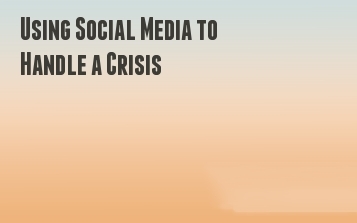 Social Media is a very good platform that you can use to handle and manage a crisis effectively. It has a huge number of connected users who interchange a huge number of messages every day. Hence, one needs to be very careful while handling this as it can generate a lot of negative publicity. On the other hand, it can also repair the damage and revive the reputation of a business. The businesses need to closely supervise what the social media platforms are saying and what the growing trend is. Then they have to respond to it in the most effective way if they want to do a successful crisis and reputation management. First, there are some things you need to clarify and be clear about before you resort to social media. · Identify the actual problem: The main trick here is in understanding the actual reason of the crisis. If you are unable to identify the reason the crisis, you will not be able to solve it. · Call a meeting about this with the internal shareholders to discuss the problem. · You must also estimate the extent of the damage so that you are able to implement a suitable damage control measure. · Social Media Tools: You need to have access to the professional social media tools if you want an accurate idea about the condition. It will help you monitor the situation and you will be able to take steps to control it better. · Ready the Content: You need to be ready with the content that will play a pivotal role in controlling the damage that has already happened. You need to plan it out correctly with the text, images and videos and how you want to use it. · Train Your Team: Your social media team must be adequately trained to handle the crisis. They must all be aware of the situation and how they should respond to it. · Use Advertisements: They are quite expensive but they are a good method of sending your message across. · Connect To Your Supporters: However bad might your crisis be, you can be certain that you have a group that will support you. You need to find them and get connected with them. They will help you defend yourself and will contribute towards influencing the public opinion to a large extent. · Do Not Reply To Abusers: In the social media platforms, there will be different kinds of people who will hold a grudge against you and abuse you. They might directly attack your brand, but you must learn to ignore them. If you do answer, be polite with them or it is better to not answer them at all. Read on why on Twitter people begin to unfollow. How's your business? Are you hitting your target sales? If you don't, then you might consider to use local marketing. Give it 6 months. You will see the improvement in your sales and marketing expenses go down. 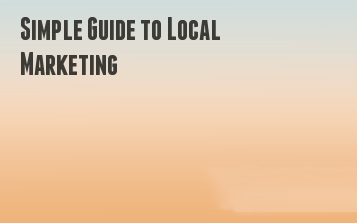 To give you an idea with regard to local marketing, read on. You need to know what is a niche. Where does your business belong? The more specific the niche is, the more you do have a higher probability of earning more profits. Say, for instance, you are into the jewelry business. This is like a general industry. You can be specified by the type of jewelry. Are you into fashion or gold jewelry? If you are in gold jewelry, are you into ready to wear or customized? If you are into customization, then your niche is customized gold jewelry. The more specific your niche, chances are you do have less competition and can penetrate right through the market easier. The problem with most businesses are they want to capture a huge market, spending more time and money yet not too much sales is coming in. The key here is to be more specific about who your target market is. Say for instance you are targeting women for the customized gold jewelry. What is their age group? What social class do they belong? Example of a target market is women who are in the age bracket of 30-40 years old and belong to the middle class. What you need to do is to study their behavior, spending how much and research how much they can afford to pay for a customized gold jewelry. With this, you will be able to capture your customer and come up with a marketing campaign that hits through their hearts. You can not trick your target market. Then, lure them to buy from you and get more sales for doing so. The key here is for you to establish a good reputation and relationship towards your market. This can be easily done through the use of your social media. The best part of it all is that you can do this for free. Use platforms like Facebook, Twitter and Instagram. Ignite conversation. Ask your followers for their comments and suggestions. Post promos. All these can help you becoming visible. Just a tip - manage your social media on a regular basis. You might not see immediate result but in few months' time you will see sales coming in bit by bit until you hit the peak. Lastly, what you need to do is to promote locally. Let the people know your business exists and show to them what you have in store for them. How can this be done? You can go and hire an SEO company and tell them to do a local campaign for you. Or, buy Facebook ads and specifically targeting your market. Another way is to post on Craigslist and your local online classifieds. You can combine different methods until such time you find the perfect combo. Do your business a favor. Go promote locally. You will see the difference it can make to your revenues on a monthly basis. Who knows you will reach your peak and open up another branch in another area. If you have been putting as much effort as you can with your SO campaign, you would certainly want to know if any of the strategies that you have employed is working, you need to know if you are actually making any progress at all before you will decide to push more with whatever plans you have laid out to further the campaign, here are some of the things that should allow you to measure if you are actually getting anywhere as far as your SEO efforts are involved. Start with keyword rankings. This may not be everybody's favorite tool as it can easily get confused when the tools are not being used, knowing where your targeted keywords are ranked is always a huge part of your scoreboard. You need to know where you are as far as these keywords go. The fact that Google Suggest ads are being used will give one, even more, the reason to track the keyword ranks. Check the tracking for the basic conversion. For this, you are going toned to successfully identify different type of conversions. This includes leads and sales, downloads, subscriptions, as well as sign-ups for events, it is through this that you can check if you making noise with the campaign you are pursuing is indeed resonating with the kind of audience that your campaign is intended for. Check the traffic for organic search too. You will need to find out the growth when it comes to overall organic traffic. You will need to focus on comparisons that are done year over year to see the trend. Check too, the growth of the traffic for those keywords that have been targeted. This is to double check against what you are getting in the rankings. You will need to check on the monthly records and the yearly one as well to see how things have progressed so far. It is also important that you check on the percentage of the traffic that comes from the organic ones. You need to keep track of the actual trend while at the same time, being watchful of the valleys and the peaks based on the marketing tactics for keywords that you have been using as in the case of email blasts that are likely to affect the percentage of the generated traffic through organic search for such a period, causing it to lower. Check for the diversity in the keyword too. Check how the keywords are driving in every month. Make sure to keep track of the actual trend as well. It is always important on how you have increased the number of different keywords that you are using which are now able to generate traffic. What you are hoping to see is an increase in the number of keywords that are allowing you to generate traffic. Check on the referrals from the website properties and licks too. Understand that content generation and link building is not only about improving the keyword traffic and keyword rankings. If it is done and executed right, websites and links that are developed to support this effort are likely to help in bringing traffic to the site. So, make sure that you do take credit for any if this traffic as well as any of the conversion that will be produced through such referrals. 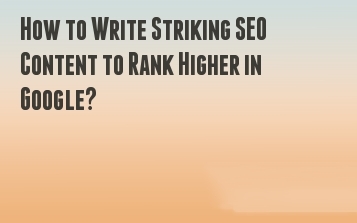 Do you want to write content that will help you rank higher in Google? In order to keep the reader interested in the content and thereby, rank higher in Google, you need to make the text appealing. It should be written in such a way that the words that you want to be found out by the viewers have a prominent place. Here are some tips that will help you write content that will rank higher in SEO. Nobody prefers reading a content that has been optimized for the purpose of SEO, not even the search engines. As a matter of fact, Google prefers content that is natural, more than the obvious SEO stuff. Furthermore, there is no point in ranking high if your content does not have that what is required of it. This is the reason while writing you need to concentrate on the human readers, but also help the robots find out the content. This is one of the most tenacious myths of SEO. However, still now there has been nothing that will indicate that Google favors some specific density over other. You just need to make sure that you are using relevant keywords in the content. Also, make it a point to use them naturally. Stuffing keywords in places where they are not required will only do more harm to the content. Search engines like Google make use of Latent Semantic Indexing (LSI) to match up the search result with the intention of the person who is performing the search. If you use related keywords, synonyms, and grammatical variations then it becomes more convenient to make the content more relevant without even cramming the actual keyword. It has been seen that web page with in-depth and long content has received more links and shares than the short content. You should aim for a content that delves deep into the subject and provides the reader with a real insight into it. However, you need to make sure that do not write lengthy content only for the sake of the search engines. You should do it with the intention of sharing the knowledge with the viewers. One of the issues with long keywords is that it becomes very difficult to rank them because of excessive competition. In most of the cases the related searches become much easier to rank for. Long tail phrases are known to have small search volumes but the traffic quality will always be higher. This is because the viewers feel more motivated and are more likely to convert. When you share your content, it helps you to get traffic and links. This makes the content more popular in Google. You should make it a point to get the content shared in various forums, like Facebook, Twitter, Google+, LinkedIn, etc. The title tag is an important aspect of ranking in the search engine. It is the thing that helps Google categorize a particular web page. This what the prospects will see in the SERP’s. Include keywords and make the title look natural. Are Rich Snippets an Absolute SEO Necessity for 2019? Rich snippets are generally concise and direct answers that are prominently displayed when a search is performed. The term that is used for these entries is ‘rich answers’. These rich snippets might take many forms. Each and every year there is a consistent and measureable growth in the frequency of rich answers. In the year 2015 there has been a growth of 8.6%. This shows that every year, Google provides more answers for a higher percentage of user queries and there is no sign that will show that the momentum has slowed down. Latest data shows that Google displays rich answers for almost one third of all user queries. You also need to keep in mind that a feature named ‘Related Questions’, recommending the follow-up queries, is also rising drastically. This is the reason that Google is bent on providing more direct answers search results in order to enhance the user experience and thereby bypass the need for the users to click-through. Rich answers rise to the top position for a particular query and this is the reason there are two strategic responses. There are advantages of this, like; you can avoid writing about those topics that can be answered concisely or those that will surely generate rich answers. Take this as a new type of competitive research that actively searches for the best opportunities to rank. On the other hand the disadvantage is that rich answers broaden the reach, gradually cannibalizing the new targets. This strategy is perfectly in line with the core question by making use of rich snippets all throughout the site. You can increase your chances of being featured in rich answers as well. It takes proper microformatting and few strategic changes to the content format which includes answering the related questions of the user at the beginning. You also get a brand name and a link to the individual pages that had been featured, that too more prominently than the leading competitors. Necessity here means, whether it should be included for progressive and meaningful increase in visibility and rank over time. 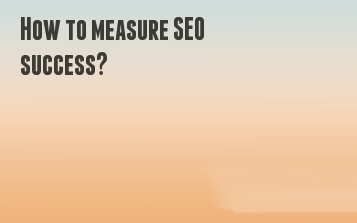 This naturally means that if it is not included then there would be no progress in the SEO campaign. Thus, it might actually decline with time. 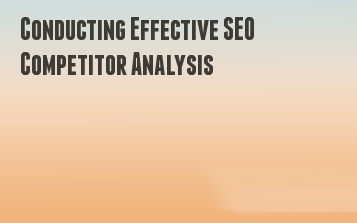 This means that rich answers are not a necessity for SEO as you will not be penalized without them. However, if you do not use them or at least adjust the strategy in order to compensate for the existence then you are definitely missing out on some important visibility possibilities. As a result you would be throttling your own results, just that you won’t be killing them completely. Although rich snippets aren’t a necessity, yet their importance is just growing with time. Just because it is possible to survive without them does not necessarily mean that you need to make the effort. The sooner you start using rich snippets, the better it is for you. Have you ever wondered why some of the most perfectly designed banner ads have not generated even one percent of ROI? Well here is a marketing observation stat that you should hear. 54 percent of the users online don’t trust what’s written on your online banner ad. The shocking reason why the most well-designed banner ad could not reap you the promise of good ROI. It is, therefore, necessary to consider as to what makes your audience trust you. The things that will make them take the leap of faith and click right away. So while you ponder on this and come up with a solution, let’s take you to the things that you should have known in the first place when designing an online banner ad. Don’t just rush off. Take some time and think. What would make the audience click your ad or what do audiences want to hear from you? Now start designing. You will now have a clear understanding in your mind, when you start designing. Low-quality images spoil the show. They make the image blurry and grainy, making the banner advertisement look less credible. High-quality images, therefore, matter if you want to create PPC banner ads to inspire trust in your customers. What do you want people to do? This is what should be directing them to take the action. Whether you want them to buy or read put that in your CTA buttons. Don’t forget to add the trigger. For example – ‘Start Now’ and ‘Click Here’. Marketing should be about offering valuable services and not using tricks of deception. That is bad and harmful for your brand. Make sure that the service or offer that you make is identifiable with your company brand, name, and logo. Make compelling ads that will help to pull the trigger, but don’t forget to add your brand value to it. This includes putting your company logo and your company name. If you don’t have any company logo to place, then mention your website URL. These are simply going to make things more complicated. Multi-colors in PPC banner ads lead to distraction. Therefore when you choose colors, pick them wisely. Stick to a palette having three to four color options. Not more than that. Fonts need to be easily readable online. This is applicable for any digital promotion that you make. Coordinate your texts with the right color choice also. Bad PPC ads can ruin an online promotion. 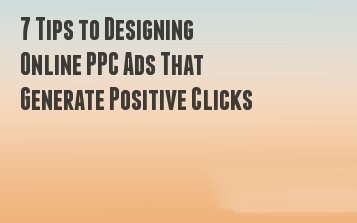 So make sure you stick to all these things when you get down designing an effective Online PPC ad again. Instagram has become one of the hottest new social networks in recent times. The majority of activities in Instagram involve photographs although the social network supports video as well. You can make great use of this social network for your marketing needs. 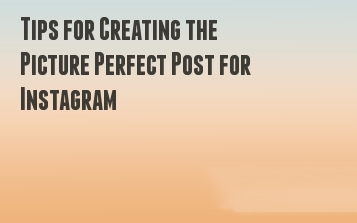 However, if you want your social media marketing activities to bring you the best results, your Instagram posts must be perfect. The human brain is capable of processing visual information 60,000 times faster than words and that too more effectively. As a result, people are more likely to remember you marketing message if you manage to present the information attractively in a visual manner. Make sure that the images are capable of stimulating more interest through its visuals. If you post photos that are blurred or unnecessarily pixelated, the only thing you will end up with is a smaller follower count. Instead, the quality of the photos should be as high as possible. People visit and use Instagram to look at photos that are amazing, crisp and of a high quality. Instagram recommends that the size of the photos should be 640 pixels both ways. Be that as it may, it will be better if you make the photos twice that of the recommended size at least. An image with a size of 1280 pixels both ways can look crispier on Instagram. You do not have to make sure that there are shadows and other effects to add drama to the photograph. The lighting is more important. Your product should be perfectly positioned under the spotlight. This allows your product to be displayed perfectly in the post. The description or caption you provide with the photograph can be quite important in attracting followers on Instagram. Do not forget to use words that can draw people into your post and make them follow you. Words such as ‘free’, ‘you’ and ‘instantly’ can work incredibly well in these situations. You may think that the photograph is enough to make the people undertake the action you want them to. However, that is not true. You have to include a call to action. This increases the chances of the visitors on Instagram to follow you or take the action that you wanted them to. Of course, the calls to action should be simple enough so that people can do the action easily. Instagram is famous for its use of hashtags. Therefore, you must add a few of them to your post. Hashtags make it easier for people to discover the post and also for your post to become viral. Of course, it goes without saying but the hashtags should be completely relevant to the post. Do not use too many of them or else your post might be considered to be spam. Instagram can be a powerful social marketing tool. All you need to know is how to use it properly. One of the utmost marketing goals for many small businesses including dentists is Increasing organic rankings in search results. In fact, LINKS are an important component in Google’s process of providing timely and relevant search results. Below is a snippet off of Steps to a Google-friendly site by Google. The advantages of linking that go more to just acquiring links – it is involved, too. Linking out to organizations, businesses, and resources, you establish a deep and much-strengthened relationships with them. Of course, from time to time we love getting a mention online that is really flattering and your dental practice needs this! Google notices the linking tasks that you’d done too and will have you rewarded for your generous sharing. This happens when you get links coming from trusted sites and each link back to your website is definitely a plus, which works well in your favor. Surely, links are very, very important in order for your website to rank well at the top of search results to get more customers or patients in your area. 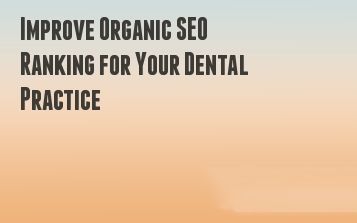 How do you gain quality links to improve organic SEO ranking for your dental practice? Read on further to know a few easy steps. Creating original blog content is a great way to give and receive links. Not only that, but it’s also a vital way to get atop search engine rankings. A good tip for you to start with is to write and post a blog topic with high linking potential, such as information or two about a local community business. By doing so you get some link back your way. Select a business you work with regularly, such as a local cafe, a personal trainer or a dental laboratory. With it you a describe their services, how else they are of help with their customers, and your positive experience with their business (feedback). After you have published your blog post, you may do these: connect to their business through social media and send them an email to let them know you’ve written about their business. Just don’t forget the URL that will take them directly to the post. It would be really nice to have your post shared in their blog, and it won't hurt to ask if they would be willing to do so on their site and social media accounts. Have yourself participate in a series of lectures regarding dentistry at your community. Schools are good, and students will greatly benefit from the knowledge you’ll bring. Not only that, there’s a good chance of getting new patients from providing lectures and introducing your dental practice and services, so plan a good schedule to have this organized and go for it. Local community colleges, elementary schools, and dental schools often have opportunities for teaching a course, guest speaking, or simply being a participant in an internship program. In every activity you do has a big chance of resulting of linking to your dental practice, and of course, you will have to ask first. A local institution’s website (domain ending in .edu) that provides your business link is incredibly valuable and very much worth the effort. POsting a community page on your website is yet another method to gain quality links. The advantages of this type of page help establish strong relationships among businesses and groups/organizations in your community, giving users updates information, and cross-promotion. Take the time to create a list of your team’s favorite places such as restaurants, local attractions, events, shops, and services. Getting involved just right with these businesses: take photos, meet these business owners, and mingle with them. Cross-promoting may sound simple, and it can be. Your businesses may differ, but converging at a common goal can be of great help and beneficial: you get to promote each other’s business. Have a community page created along with useful information with the help of your dental marketing agency. Reach out and connect to these businesses through social media and email to let them know you have promoted their business, once your community page is completely done for sharing. Always update your site’s community page by getting involved with your readers. Add some more information by giving out recommendations, and such. Building relationships offline mean reaching out and making connections with other businesses, groups and/or organizations, and most importantly patients in your area aren’t determined overnight. This will take time and the best results often come with links to your dental practice. In the world of digital marketing, you might have heard, ‘Content is King’. Some may claim it to have become clichéd, but still one cannot deny the truth. Studies have shown that based on the content that most of the businesses are building up their online presence and brand awareness. Even a few years back, people used to learn about a brand from the classified ads. However, now things have changed totally. Nowadays, businesses with the help of digital marketing, they are interacting with their targeted customers. If you are not still clear with what content marketing is all about, don’t worry. You can get to know about it in the following section. Content marketing can be ascribed to a strategy that can be used for establishing a relationship with the potential customers by providing them with high-quality contents which is not only engaging but should also be helpful to the potential customer. However, the content should be relevant to the niche business. How It Helps A Business? A successful content marketing campaign can help to create a positive image of the brand or the business house. 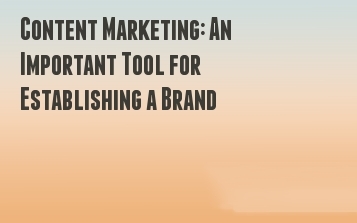 Content can help in increasing brand awareness and strong online authority. Posting content on a regular basis makes a site visible in front of the audience. When they see regular posts from your site they start to build trust. Valuable and informative content that can serve the need of the customers can help to create a strong brand image. This, in turn, can help the business in a lead generation. When you invest in content marketing and publish informative content, you will thousands of loyal visitors. They will follow you as soon as a new blog comes up on your site. A good content can help you to get your message reach out to the target audience properly. Through the use of stories, businesses can easily build up stories which the readers or visitors can easily relate. It can easily highlight the achievements of the organization. you should remember that any ex-employee can help with the branding by showcasing the informative contents. When you share content for an audience on social media they also give a feedback on the information or give their suggestions. If they find the information to be valuable they can share it with their friends. Thus, it can help in establishing a channel of communication with your customers. Adding valuable content on the net can help you to get rewarded by the search engines. When your rank goes up, your site will become more visible. A high-quality, unique and engaging content that provide pertinent information about a business or products and services. Once you catch the interest of the potential customers, a good content will entice the visitor to continue reading the whole article or blog and explore your site. The visitors can turn into leads and bring in more profit for the business organization.